Growing Aloe Vera Plant is super easy and it is just one of numerous different types of aloe plants. The plant is great for purifying the air and clearing out some toxins. More oxygen that you have in your room better you can sleep. 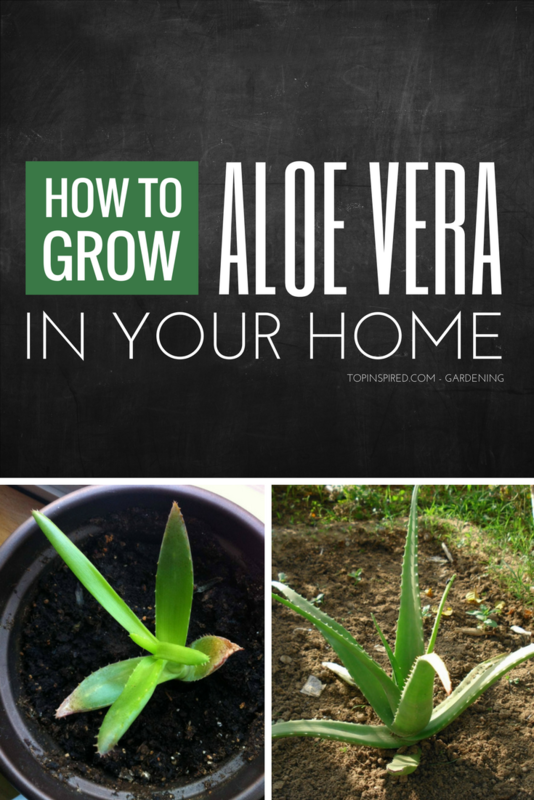 Check out following tips on How to grow Aloe Vera in your home? Thank you for all the suggestions and i will try them for a healthier and bigger Aloe Vera plant. I’m new to growing aloe vera plants. I’m more excited about it now that I’ve read your article. Thanks bunches. No es correcto cortar así las hojas de la planta. La hoja del aloe vera no se corta con tijeras. Lo correcto es sacarla completa desde la base, de tal manera que no quede la hoja cortada, ya que al cortarla queda herida, expuesta y por allí entra la enfermedad. la hoja se hala lo más cerca posible a la base, sin herir la planta y sin dejar superficies de esta expuestas. Thanks for your ideas…. I have aloe vera plant and I was thinking the way I have kept it correct. I have a few aloe plants (ciliarus, Wembleys blue, brevifolia) that have become too tall. They are healthy but they are beginning to tip over and outgrowing their spaces. Can I simply cut them off halfway or 1/3 away from the roots? I think that it would be okay but I wanted to make sure!